**Downwards' DO series makes its boldest statement yet, an album of new material by arch-Industrial Folkies Eyeless In Gaza. The Techno crowd might feel Downwards are taking liberties, but even the most ardent disciples of bosh are encouraged to give it a chance, at least** Fact Mag sez it best: "Regis and Eyeless's Martyn Bates go back a long way. 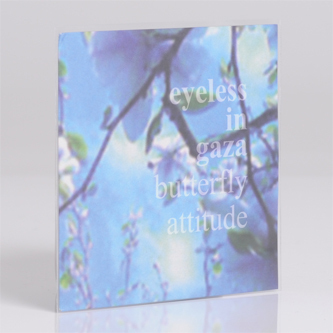 Almost twenty years later, Eyeless In Gaza are ready to release their first record on Downwards, one which will doubtless reinforce their cult status and help introduce their remarkable body of work to a new generation. Butterfly Attitude is described as a "specially-commissioned sister work" to the band's other new full-length album, Everyone Feels Like A Stranger. You get seven tracks on the CD (five tracks on the 12"LP), all exploring the predominantly acoustic, folk-oriented sound that has been EIG's preference for some years now, with Bates' pungent lead vocals cast in minimalist but muscular arrangements of guitar, percussion, harmonica, keyboards, bass, melodica, organ, banjo, ukelele, steel pans and "Morse code". 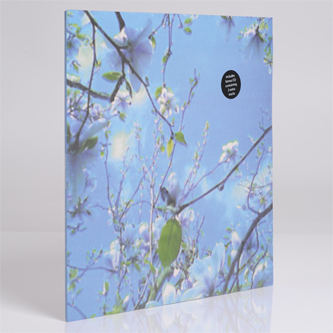 As ever, Becker and Bates conjure a precious ambience out of, and around, their performances: particularly resonant are 'Dust' and 'The Day Began', the latter recalling the unique sound design of classic Eyeless albums like Drumming The Beating Heart. "